Every artist and artisan will have a dilemma of having bought way too much stock of bits and bots. This is a great opportunity for us to clear our boxes of unused supplies and also for the other crafty enthusiasts to find some bargains. 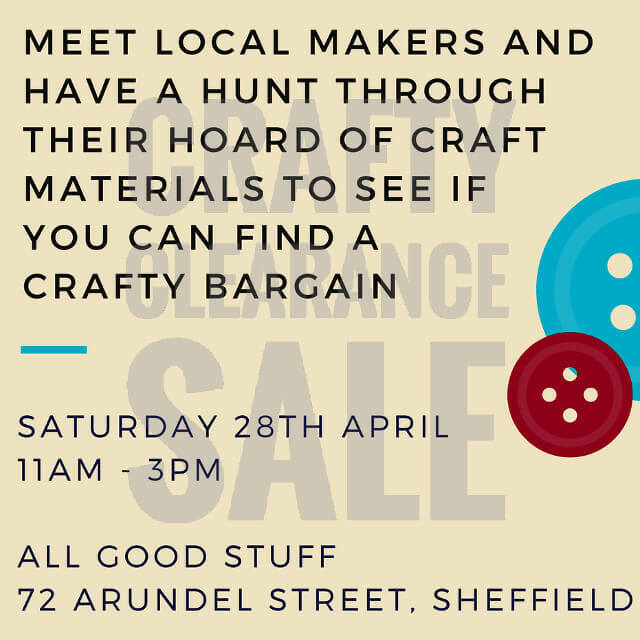 Find us at the Crafty Destash and Clearance Sale at All Good Stuff on the 28th April 2018. On the other hand, we will also use this opportunity to introduce our hairclip making kit.